This meal hardly requires a recipe, it’s that easy. Maybe the best shrimp we’ve ever eaten at home! 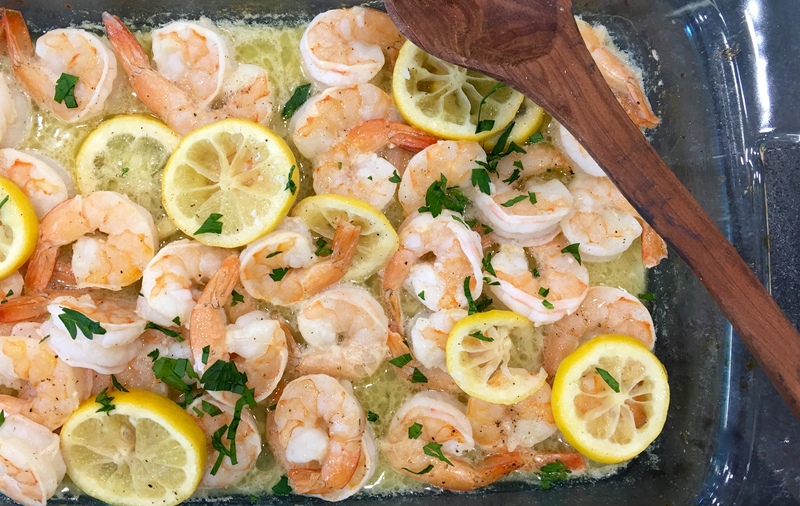 Frozen, peeled and deveined shrimp works great in this recipe. Just thaw under running water and pat dry with paper towels. Heat oven to 400 degrees. Add butter, garlic, and lemons to a 9×13 casserole dish and put the dish into the oven until the butter is melted. Remove dish from the oven and add the shrimp. Toss the shrimp in the melted butter, and bake for about 10 minutes, or until all the shrimp are pink and opaque. Serve with rice or crusty bread. Copyright © 2016 Our Everyday Dinners - This is an easy recipe for how to make Lemon Butter Shrimp.